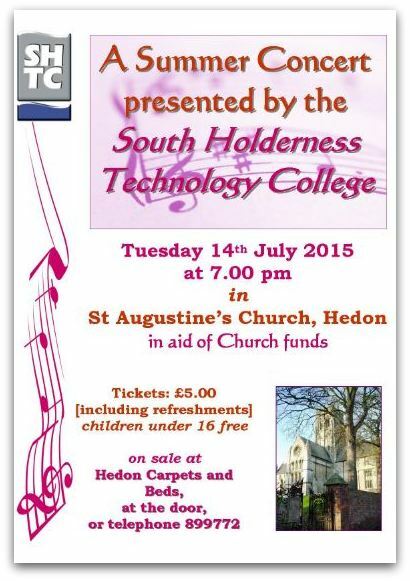 ST AUGUSTINE’S CHURCH hosts the annual concert presented by South Holderness Technology College on Tuesday 14th July 2015 at 7.00pm. Tickets are £5 each, including refreshments. Free entry for Children under 16. Tickets are on sale at Hedon Carpets and Beds, Market Place. They can also be obtained by phoning 01482 899772, or on the door on the night of the concert.